The cancer immunotherapy toolbox may one day make room for a new tool, the DNA-encoded monoclonal antibody (DMAb). Like conventional monoclonal antibodies, DMAbs bind to cancer checkpoint molecules, thereby releasing the brakes on immune cell activity. Unlike conventional monoclonal antibodies, DMAbs are expressed in vivo rather than being painstakingly manufactured, stored, transported, and finally administered. Moreover, in mice, DMAbs are expressed persistently, suggesting that DMAbs could spare human cancer patients the trouble of repeat dosing. The DMAb approach was recently demonstrated by Wistar Institute scientists. They developed a synthetic, sequence-optimized DNA plasmid designed to encode anti-mouse CTLA-4 monoclonal antibodies. When injected into mice, the anti-CTLA-4 DMAbs resulted in significant and prolonged antibody expression with even a single dose. Importantly, this approach stimulated robust CD8+ T-cell infiltration, achieving tumor clearance across multiple mouse tumor models. Details of this work appeared October 4 in the journal Cancer Research, in an article titled, “Synthetic DNA-encoded monoclonal antibody delivery of anti-CTLA-4 antibodies induces tumor shrinkage in vivo.” The article describes how the Wistar team engineered and formulated DMAb plasmids encoding IgG inserts, and how these plasmids were directly injected into muscle and delivered intracellularly by electroporation, leading to in vivo expression and secretion of the encoded IgG. Treatment of cancer with checkpoint inhibitors has recently revolutionized cancer immunotherapy. Since the discovery of immune checkpoints, which was recognized as a groundbreaking development for cancer therapy and awarded the Nobel Prize in physiology or medicine this week, checkpoint inhibitors are becoming standard of care for various malignancies, showing unprecedented impact for patients. 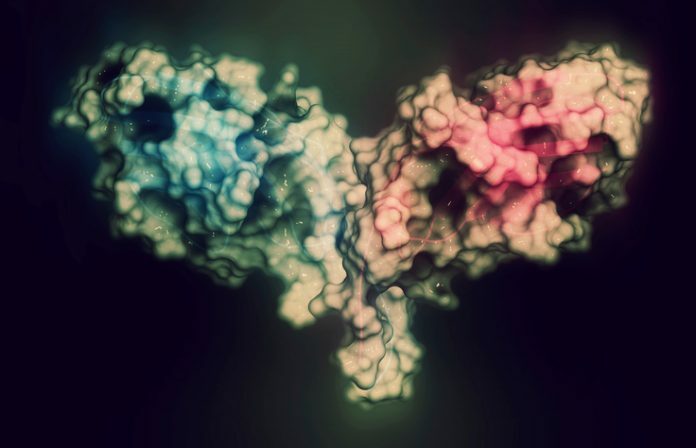 Despite the tremendous advancement in cancer therapy brought by monoclonal antibodies targeting checkpoint molecules, manufacturing complexity and repeated dosing may limit a broader use of this technology. “Anti-human CTLA-4 DMAbs produced in vivo bound to human CTLA-4 protein expressed on stimulated human PBMC and induced T-cell activation in a functional assay ex vivo,” the article’s authors added. Essentially, the researchers developed human checkpoint inhibitor molecules and demonstrated their production in mice as well as their ability to stimulate human T-cell responses associated with antitumor activity.